Ayanda Jiya has been teasing us with the visual for her Valentine’s Day love song, Falling For You. 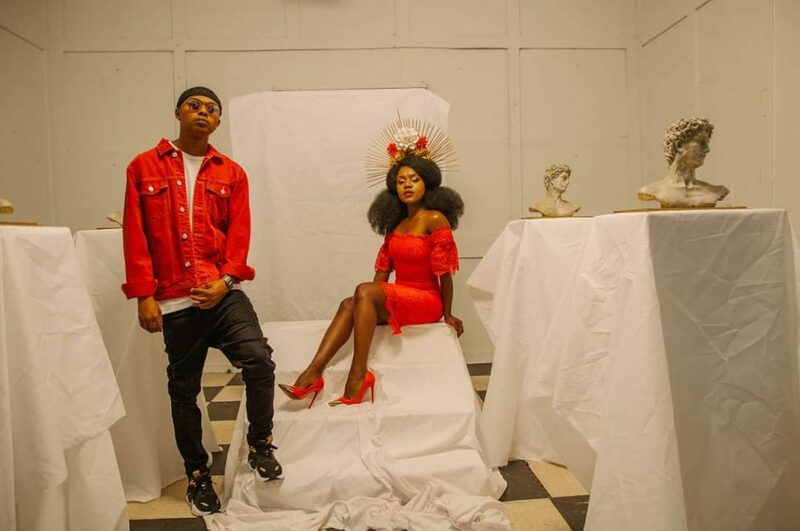 The single, which dropped back in February has been a hot topic because of Ayanda’s flawless vocals but also A-Reece’s swagger. She finally unleashed the visuals and we approve. The song, which dropped on Valentine’s Day is an unconventional take on love as the woman is the one being more assertive in expressing her feelings for the man she wants. She sings that she doesn’t care about being right or wrong- she just simply wants it to be known. Bold stuff. The music video for Falling For You is shot simply in terms of the direction of the music video. There isn’t a crazy storyline or too many wardrobe and location changes. What we get is an image of beauty and boldness. We see Jiya in a warehouse/penthouse looking place with stark white walls and high ceilings. She is rocking couture looking gowns along with her huge ‘fro and dramatic crown. The main colours are red and white with accents of browns and golds. What makes this music video stand out is its injection of whimsy in the scene where she is in a room full of ballons while rocking a short white dress. The contrast between the red and white backgrounds was also quite interesting in the way that it was edited.